Whether you realize it or not, your organization already has a web governance structure. In other words, somebody is already making some kinds of decisions about your organization's web presence. This decision-making system might be ill-defined and poorly organized, but it's there. The process of organizing and cleaning up this system is what we call mapping your web governance. Here's how to get started. Firstly, there are some web governance terms you should familiarize yourself with. This terminology makes up the tool you will be using for the mapping process, which is why we have dedicated a significant part of this post to this introductory glossary. A web policy is the highest level of abstraction within web governance. It is a set of rules and constraints for how your organization works in regards to web. Web policies affect the entire organization, and their purpose is to protect the organization from risk and to ensure the utilization of your full web potential. Web policies should be few and rarely changed. An example of a web policy that many organizations either have implemented, or thought about implementing, within the last few years is a social media policy. A social media policy must cover the organization's use of social media including how, when, who, etc. Web policies should be kept general. To stick with the example of a social media policy, this should not be limited to covering a specific social network. These sort of detailed limitations belong in web standards, the next term on our list. "All pages on the organization's website must comply with WCAG 2.0 AA accessibility standards." "Response time for the internal search engine must not exceed 1.5 sec." "Your company email must not be used for social media activities." 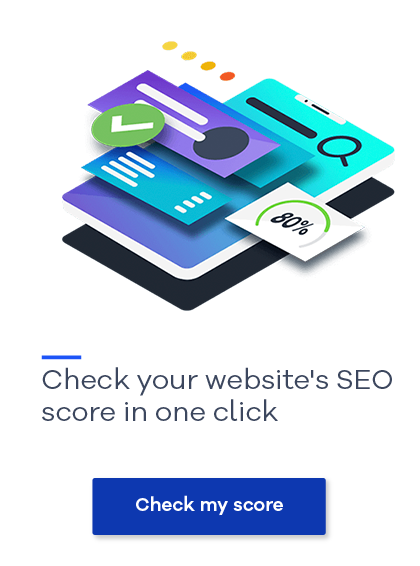 The number and details of web standards will vary from organization to organization, but it is important to remember that web standards are not procedures or methods describing in detail how to publish web content. When working with policies and standards within the different categories mentioned above, there will be a number of stakeholders either directly or indirectly affected by the resulting decisions. Some of them will give input to the creation of the standards; others will be responsible for making the decision about the final versions of the standards. Typically it is one or more of the above who provides input to a specific standard. A manager then makes the decision to implement that standard and as such is responsible for the decision. Any areas where there are no clearly defined input and decision rights is characterized by what we would call anarchy. This is not uncommon in organizations' social media presence. Now that we have defined the key components of web governance, you can begin mapping the input and decision structure in your organization. Using the table below, you can create an easily understandable overview to be used for reference across your organization. You fill out the table by writing the organizational archetypes or even specific business units in the blank cells. Download the table "Mapping Your Web Governance" as a PDF. When you have mapped your organization's web governance structure, you will have a document to be used as reference for all things related to your web presence. Note that your web governance structure map should be continuously updated and improved. This post is inspired by the content of Welchman Pierpoint’s blog.An important part of web governance is coordinating the work of your web editors. 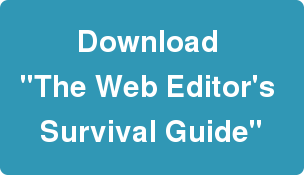 To give them a helping hand, you can download the free "Web Editor's Survival Guide" here. Blog post: "Roles and Responsibilities in Web Governance."